ISIS video shows execution of American Kassig. 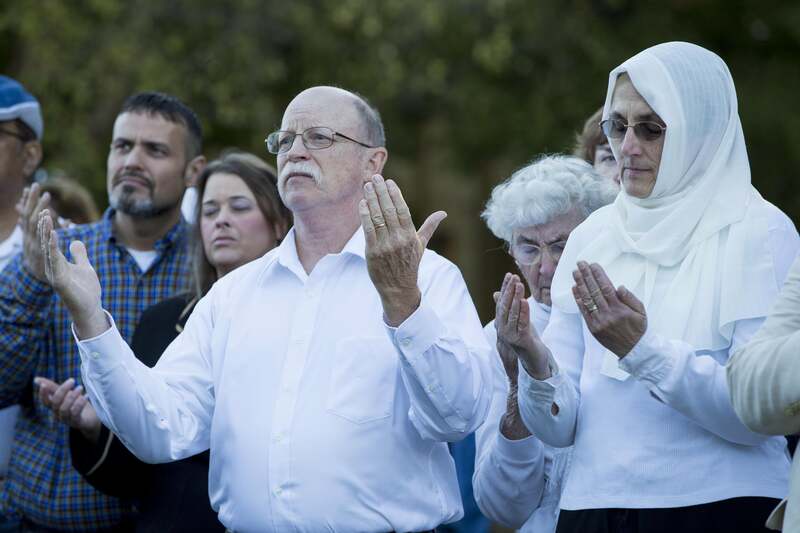 The parents of Peter Kassig attend a vigil for their son at Butler University in October. ISIS released a new video on Sunday that reportedly shows the execution of American aid worker Peter Kassig. The authenticity of the video has not yet been independently verified. The 16-minute video also shows a mass beheading of more than a dozen Syrian soldiers. The latest release is the fifth beheading of a Western captive by the Islamist group, but was notably different from previous execution videos. The Islamic State released a video early Sunday showing a black-clad executioner standing over the severed head of what they claim is an American aid worker … Unlike the deaths of James Foley and others, the actual killing of the former Ranger, Peter Kassig, is not shown. And he is not made to deliver a final message. The camera pans across the boots of the hooded killer. Between his feet is a decapitated head, blood smearing the cheek. Kassig’s execution was carried out by what appears to be the same British-accented man referred to as “Jihadi John” by the British media. “To Obama, the dog of Rome, today we are slaughtering the soldiers of Bashar and tomorrow we will be slaughtering your soldiers … And with Allah’s permission … the Islamic State will soon … begin to slaughter your people in your streets,” the man says in the video. The 26-year-old Kassig served as an Army Ranger in Iraq and later trained in emergency medicine, founding the Special Emergency Response and Assistance (SERA) organization to provide medical assistance to refugees in Syria. The Indiana native was abducted on Oct. 1, 2013, and held with James Foley and Steven Sotloff, both of whom were killed. The Kassig family released a statement on their Facebook page asking media outlets not to distribute the gruesome images of their son taken by ISIS. “We prefer our son is written about and remembered for his important work and the love he shared with friends and family, not in the manner the hostage takers would use to manipulate Americans and further their cause,” the family said in the statement.